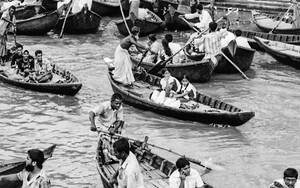 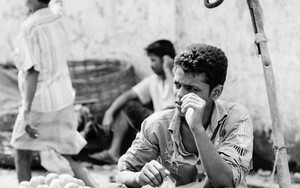 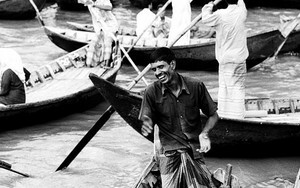 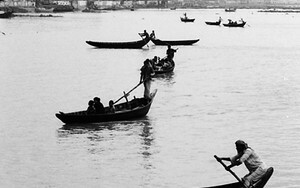 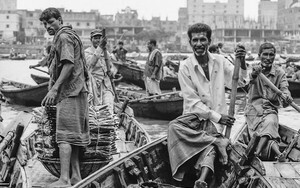 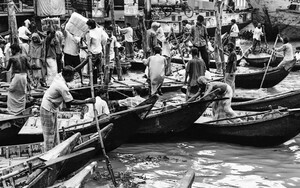 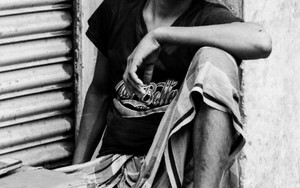 Shot at Sadarghat in Dhaka, Bangladesh. 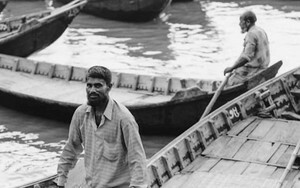 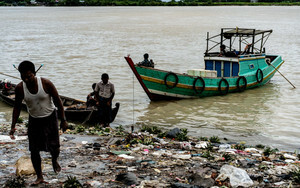 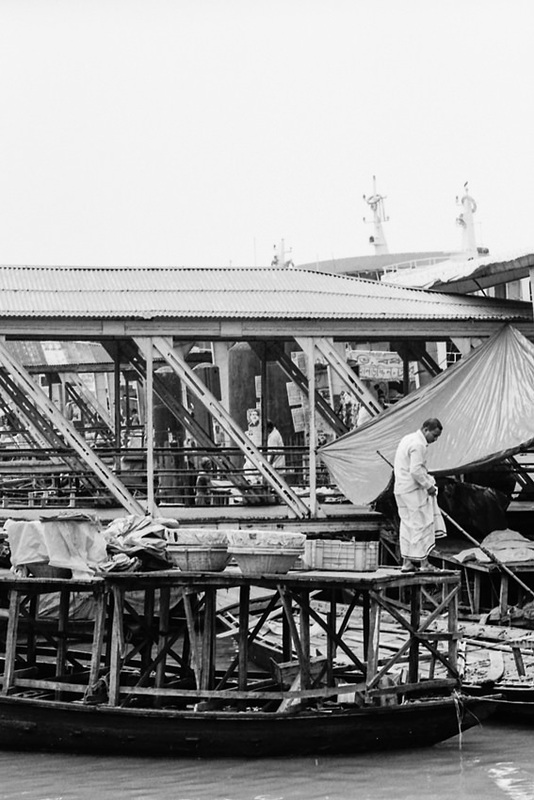 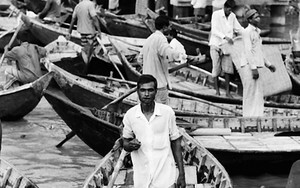 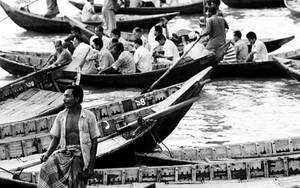 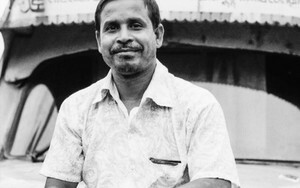 A man wearing lungi was standing on the roof of a boat moored at the wharf in the Buriganga River. 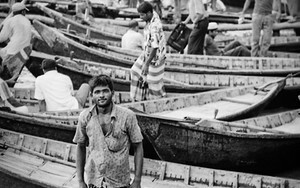 Many baskets were put around him. 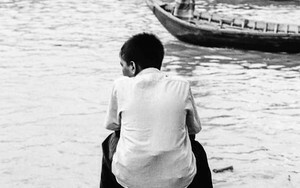 Maybe people were just loading a freighter. 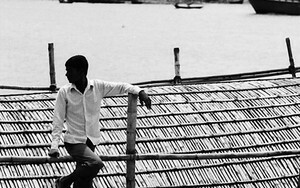 He stopped on the edge of the roof and watched the surface of water. 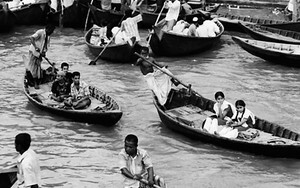 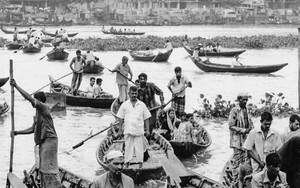 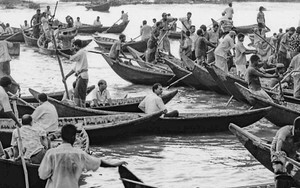 Where is Sadarghat in Dhaka?